Bonnie has recently joined Harmonia after being with the Center for Life and Loss Integration for nearly 25 years. She has over 30 years of experience and her therapy is an integrative approach to support the body, mind and spirit. She integrates Self Acceptance Therapy, Energy Medicine, Interpersonal Reconstructive Therapy along with Cognitive Behavioral Therapy. She explores mental health, emotional and energetic patterns that are held around specific issues in one’s life. The sessions may include a combination of counseling, meditation, guided imagery, breath awareness/ mindfulness. In addition, she has trained in Bioenergetic therapy; a form of Somatic healing described below in the paragraph on Mind/Body Therapy. Major interests are in women’s & men’s issues, couples therapy, young adults , children 7 +, adolescents who have faced death and non death losses, Life Transitions, Stress Mangement, Anger, Depression, Anxiety, Cancer, Death and Dying, Bereavment. Her work provides a route to liberating the client’s self-healing energies, and to explore their motivation and will to work through complex and day to day issues that create ‘tension’ and anxiety. Bonnie has worked in Complementary Medicine with Group Health Cooperative, and with Hospice Care, Inc for many years. Her commitment is to finding a safe and sacred space for a depth of healing in each person, to empower and create the essence of self healing for the body , mind and spirit. 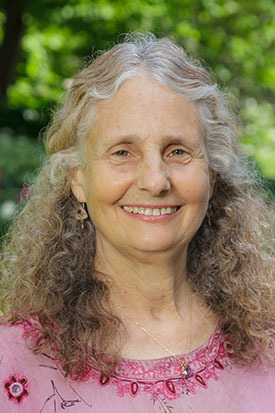 In addition to psychotherapy, Bonnie offers group and individual retreats and workshops, bringing creativity, laughter, meditation, and sense of sacred spirituality to individuals and groups. Bonnie earned her Master’s degree from the UW Madison. She accepts insurance from Group Health Cooperative, EAP- Empathia, CompPsych EAP, Medicare, Medicaid, Anthem Blue Cross, WPS, Alliance, Humana, Aetna, and others. You may leave her a message at (608)255-8838 #5 or email bonnie@harmonia-madison.com. Please include your name and phone number in any correspondence. Mind/Body Therapy is a form of Energy Medicine that helps liberate the flow of an individual’s self healing energies . Sessions begin with checking in with body and mind through energetic channels throughout the body to help one to a fine tuning of the heart, breath, and to become aware of body sensations of tension, openness, blocked areas needing attention, and always returning to the breath for grounding. During session a person may need to sit throughout the session, or lie down to feel greater support. This method is a unique form of therapy focusing on support of the life force and support of the person faced with grief, life transitions, chronic illness, anxiety, depression, anger, cancer, death and dying. It involves expanding the breathing process, reducing patterns of chronic muscular tension. The therapist helps the client integrate complementary methods of self care and self acceptance while navigating the accompanying emotional issues with a unique somatic release process that includes Bioenergetic methods to ground difficult emotional states. The therapist teaches and coaches the client in methods to promote mindful awareness of energy flow in the mind and body allowing the client to directly experience the discovery and release of tension that is blocking the life force, as well as helping to clear the individual’s luminous light energy field. Mind/Body Therapy can powerfully shift the momentum of healing for body, mind and spirit. The therapist facillitates increased understanding of the mind/body/spirit in an open and non judgmental manner, the client feels supported in the exploration of many levels of life experience, from the somatic to the emotional to the spiritual. To feel motivated to develop greater balance of mind, body and spirit & have the will to live life with greater balance and aliveness. To live with a fuller and freer sense of well being.